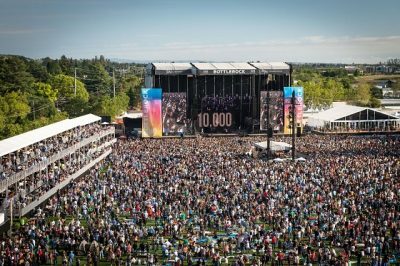 Last weekend marked the return of my hometown’s beloved music, food and drink festival, BottleRock Napa Valley, which turned five this Memorial Day weekend. 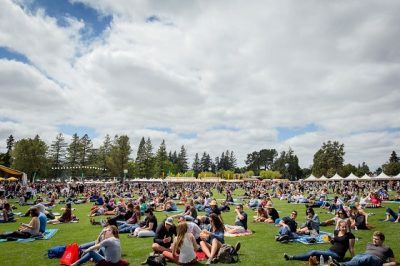 In addition to boasting phenomenal music lineups year after year, BRNV offers a wine garden, a “beer bend,” a silent disco, a beer and bourbon garden, displays of art throughout the festival grounds, and of course, the culinary delights that have come to be associated with this valley that is so much more than wine. 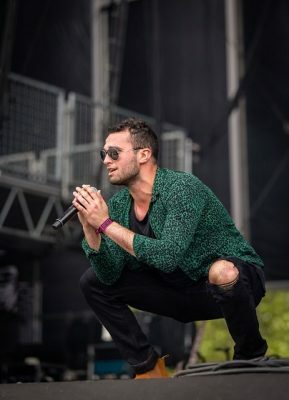 My BottleRock 2017 experience began around 1:00 pm with the wonderful Josh Kelley on the Lagunitas Stage, after which I made my way to the festival’s main stage (The Heydaze, whose song “Hurt Like Hell” is fantastic and was decidedly more so when performed live in front of me. Also worth noting was their cover of Alicia Keys‘ “If I Aint’ Got You,” which I really enjoyed. 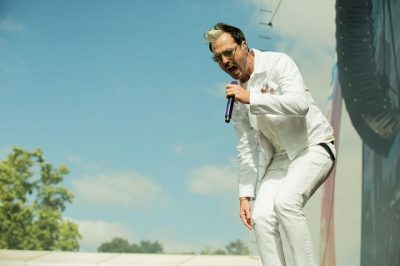 Up next were Saint Motel, whose “Move” never fails to make me do just that, usually with a silly grin on my face, and then Fitz and the Tantrums, who I’d been dying to see for some time now. Highlights from their set, for me, were all of their singles (“Out of My League,” “Roll Up,” “The Walker,” and especially “HandClap”), each an earworm in its own right. 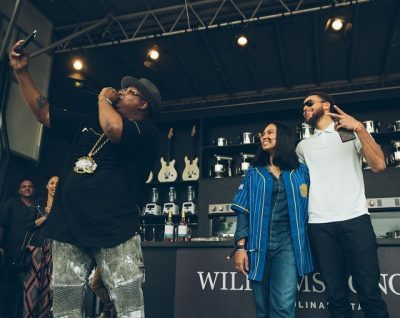 On Friday, I experienced sort of a combination of the two: Ayesha Curry and E-40 were scheduled on the Williams-Sonoma Culinary Stage sandwiched right between The Heydaze and Saint Motel. I had planned to try to squeeze it in, but didn’t make it…much to my dismay. I can’t say I’m surprised to hear her husband, NBA MVP Stephen Curry, crashed the party, but as a huge Golden State Warriors fan, I’m disappointed I didn’t see him for myself! Tens of thousands in attendance, and Friday’s the quietest day of the festival! 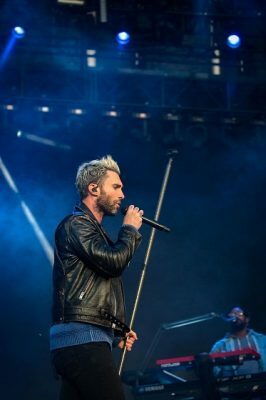 The evening concluded with headliner Maroon 5, who I was once quite a fan of. 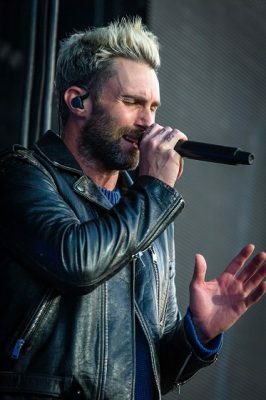 I won’t say I’m not anymore, but I have been known to say that I’m not sure who’s more bored with their music the past few years – me, or Maroon 5? I really couldn’t say. I admit I wasn’t overwhelmed with excitement to see them headline, or even play at all, but I decided to be willing to give them a chance and see what I thought. I haven’t seen them live in several years, after all. Overall, I was happy with their choice of songs, which ranged all the way back to Songs About Jane. Adam Levine’s bitching about being able to hear Modest Mouse (from the nearby Samsung Stage made me roll my eyes, and I panicked when I momentarily thought Levine was going to cover my beloved David Bowie (he didn’t), but in the end I stayed until the last song. 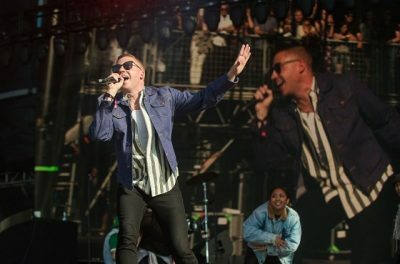 If you’re thinking I don’t have anything positive to say about them, you’re wrong: Levine remarked that BottleRock was his “new favorite festival, and here’s why,” going on to explain how much he appreciated that fans in attendance were watching, engaging, singing along and enjoying, rather than watching through their phones while taking pictures or video. 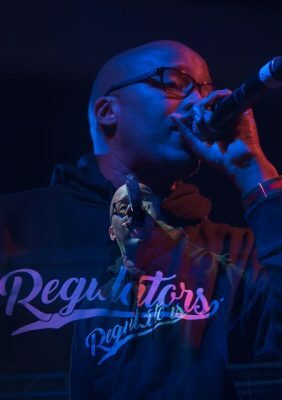 I was impressed that he’d not only noticed, but took the time to acknowledge it, saying it “doesn’t go unnoticed.” Their set concluded with a cover of Prince’s “Let’s Go Crazy,” and can be found in its entirety here. Stay tuned for Day 2 (Saturday) and Day 3 (Sunday)!